After researching where this building once stood, I found that it was on the corner of John R and Broadway (once called Miami) but I can’t confirm this. The structure that is standing in it’s place is the Detroit Opera House Parking Garage. Detroit circa 1912. 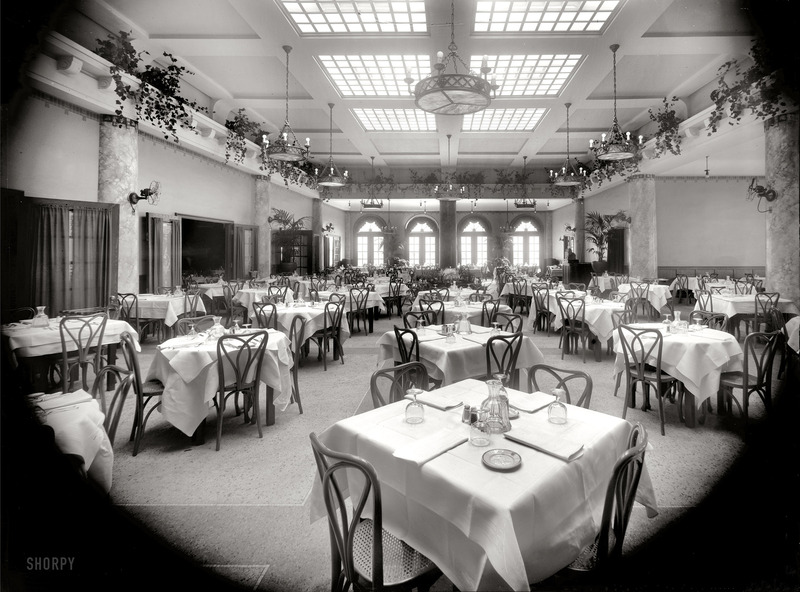 “Edelweiss Cafe — The Grill Room.” There may be a slight wait. 8×10 inch glass negative, Detroit Publishing Company. This entry was posted in Detroit, Photos, Shorpy Saturday and tagged allen browne, broadway, detroit, edelweiss cafe, john r, kiwanis club, michigna, opera house. Bookmark the permalink.